The House action was largely symbolic since many Democrats had campaigned on a promise to restore net neutrality, a policy codified in 2015 by the Obama administration but overturned by the Trump administration’s Federal Communications Commission (FCC). The principle of net neutrality holds that internet service providers (ISP) must treat all network traffic the same. They can’t offer faster speeds to one kind of traffic while slowing down other kinds. Net neutrality supporters have warned that without this protection, ISPs -- such as AT&T and Verizon -- might favor their own content over their rivals’. The measure passed by the Democratic majority in the House would restore the FCC’s authority to regulate ISPs under Title II of the Communications, making them a public utility. Republicans have consistently argued that ISPs are not public utilities. While the legislation may have no chance of passage the issue of net neutrality continues to divide Republicans and Democrats. But some industry experts have suggested the arrival of 5G internet service make the issue a moot point. 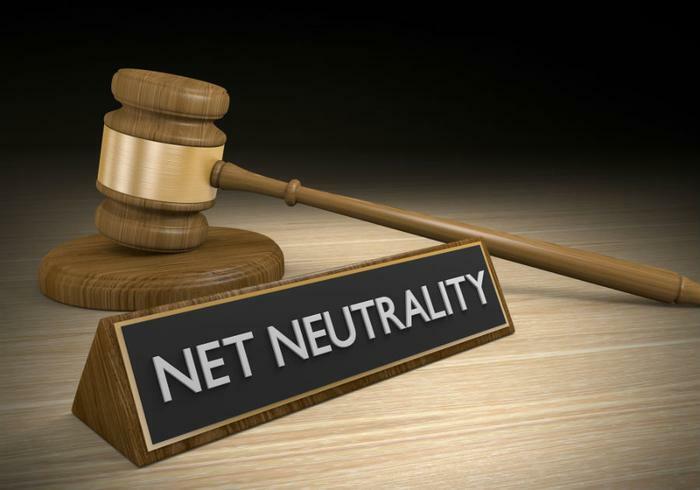 In a recent editorial, Investors Business Daily said Verizon’s new 5G Home internet service “obliterates” the argument for net neutrality. The writer argued that 5G service offered by providers will end the monopoly of wired ISPs.